Hitachi Capital Franchise Finance arrange bank and leasing finance, produce business plans, provide training courses and help franchisees prepare for re-sale. Established in 1979, Hitachi Capital Franchise Finance are leading experts in raising finance within UK franchising. The team work with a diverse range of franchisors and franchisees to prepare business plans, arrange finance (loan, leasing and hire purchase) and deliver business and financial training. You will gain access to our network of lenders, which has been structured to give solutions to almost any applicant, contributing to our success rate in arranging finance of more than 95%. It is important to establish what type and amount of finance is appropriate (we can help you do this). For example, an overdraft or invoice discounting facility to finance working capital, a medium term bank loan or asset finance facility (such as leasing or HP) to finance equipment and shop fittings or a longer term bank loan..
Critical to the success of raising finance is the preparation of a detailed business plan. Often an onerous task for a franchisee, this is the most essential element of the finance process. Our team of experienced consultants know exactly what a lender needs to see in order to say ‘YES’ to a finance application. We have helped thousands of franchisees arrange the finance they need to realise their dreams. Why use Hitachi Capital Franchise Finance? Gain access to the team’s extensive knowledge and expertise to start and grow your business and receive comprehensive support at every step of your business journey. Call us today on 01844 355 575. Finance subject to status. Hitachi Capital Franchise Finance Limited is authorised and regulated by the Financial Conduct Authority and acts as a credit broker sourcing credit for franchises from a carefully selected panel of lenders. Registered Office: Beacon House, Ibstone Road, Stokenchurch, High Wycombe HP14 3WN. Registered in Cardiff no. 07285150. Hitachi Capital Franchise Finance Limited is a wholly owned subsidiary of Hitachi Capital (UK) PLC. Hitachi Capital (UK) PLC is a finance provider and appears on Franchise Finance Limited’s panel of lenders. Rachel approached us on the recommendation of EweMove and asked us to prepare a business plan so that she could obtain the necessary finance for her new franchise. 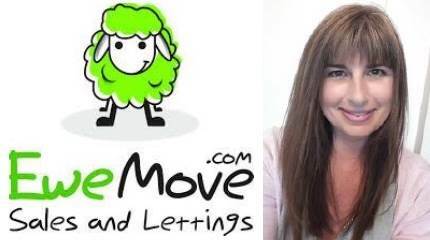 Franchise Finance duly prepared a comprehensive business plan which Rachel then used to arrange the appropriate finance with a high street bank and so enable her to start her EweMove franchise. "Having never been self-employed before or ever requested finance for a business, I am very grateful to Franchise Finance for putting together a very professional and comprehensive business plan which I presented to my bank. Franchise Finance know the business model of my franchise and with this knowledge incorporated into the plan, my application was successful. Thank you to Franchise Finance for providing an excellent service within a tight timescale which has resulted in giving me the finance I needed to launch my business." Dean has worked in the large corporate world for 30+ years, where he has progressed to a high level of responsibility, which has given him a strong level of business awareness and a good set of transferable skills. Dean felt that it was the right time to do something for himself, and look to give something back to the community that had helped to shape him as an individual. After looking at the various options, he felt that the product quality and ethical approach of an Esquire’s franchise business, met these requirements and represented an exciting new challenge and opportunity for him. Dean asked Franchise Finance to prepare his business plan, firstly to determine the viability of the business opportunity, and secondly to raise any necessary finance to successfully set up the business. Franchise Finance duly prepared a comprehensive business plan which showed a viable outcome for Dean, before helping him to arrange the necessary finance with a High Street bank lender, to enable him to open his new Esquires Coffee franchise business. "I was always sceptical of previous reviews, however, having engaged Franchise Finance to assist with the preparation of my business plan, and securing finance, I have to say the service was faultless…Glyn was able to navigate a way through the ever stressful conundrum and using his market knowledge, and professional network was able to introduce me to a very reputable institution who were happy and able to offer me the finance necessary on terms better than I could have hoped for. To anyone considering a franchise, I would very strongly recommend engaging Franchise Finance as early as possible, their knowledge and expertise will make your journey as pain free as possible." Right at Home UK is one of the UK’s leading homecare providers. Through an ever increasing franchisee network, they provide a premium quality service to both adults and older people, who require some assistance to live at home and enjoy their independence. Back in October 2014, Ken Deary, Manging Director of Right at Home approached Franchise Finance to support his franchisees with the preparation of a comprehensive business plan and assist in the arrangement of the necessary finance to get their Right at Home franchise business up and running. Having initially gone through the Franchise Finance Set Up process, where we worked with Ken to really understand his business and the Right at Home franchise model, we were then able to produce a Right at Home Template business plan. From here we were well placed to support his future franchisees with their individual business plans. To date Franchise Finance have successfully supported over 20 Right at Home franchisees start their own franchise business with the help of our Business Planning and arranging finance services. "Donna King has provided us with an outstandingly professional support service in her role at Franchise Finance. Donna and Franchise Finance exude professionalism; are very knowledgeable, very timely and thorough in their work and provide positive proactive assistance at all times. I would not hesitate to recommend Donna and Franchise Finance to anyone looking for financial support in our sector." Safeclean are passionate about caring for their customers carpets and upholstery. The team have vast experience cleaning and caring for furnishings. Whether customers have wool pile carpet or a cotton, linen or even velvet upholstery, Safecleans expert technicians know their chemistry, so customers furnishings are in safe, professional hands. Safeclean have gone through the Franchise Finance set up process, we were delighted to learn more about the business model, gaining a thorough understanding of the concept and consequently are pleased to produce professional and comprehensive business plans for Safeclean franchisees. Safeclean franchisees also undertake financial workshops with the Business Training Academy. "Since we started working with Franchise Finance back in the spring of 2016, the Franchise Finance team have provided a high level of service to both us as the franchisor and our franchisees. Their approach is always very professional, but also very personal, getting to know people and building a good relationship and rapport with them. "The team are clearly passionate about franchising and supporting franchisors and franchisees through the minefield that is raising finance. "We have also recently started running financial workshops through the Franchise Finance Business Training Academy and received great feedback from our franchisee network. "I would have no hesitation in recommending Franchise Finance to anyone seeking financial support in the franchise sector." Thank you for confirming your details. A member of our team will be in touch.